According to bikelongbeach.org, bicycling has become more prevalent in the city of Long Beach in response to recent campaigns to make the roads more bike-friendly. 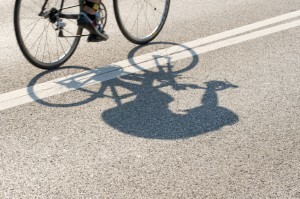 However, despite efforts to raise safety awareness among bikers and motorists, the number of bicycle-related accidents has steadily increased at an equal rate to the growing number of riders in recent years. Bicyclist riding against oncoming traffic. Motorist running a traffic signal or stop sign. Bicyclist making an unpredictable move. Motorist making a right or left turn without watching for a moving bicyclist. Motorist opening a door as a bike passes. While the majority of accidents are caused by driver or biker negligence, another common cause that the city continually works to remedy is defective roadways. Hazardous conditions that can either contribute to or cause an accident include pot holes, debris or oil, improper roadway designs, and defective safety equipment. In the event that a defective roadway results in a bicycle accident, it will be necessary to prove that the government agency responsible for the roads knew about the hazardous conditions and failed to fix it or warn others. If you or someone you love has been injured in a Long Beach bicycle crash that was caused by another person’s negligence or wrongdoing, please call Joseph H. Low IV at (888) 454-5569. Through a free consultation, you can better understand your legal rights and begin the process for obtaining fair compensation for your losses.